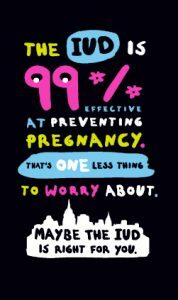 In 2010, the National Institute launched a project to increase knowledge of IUDs among young New York City women (ages 16–25)—a group with high rates of unintended pregnancy and low use of long-acting reversible contraceptives. 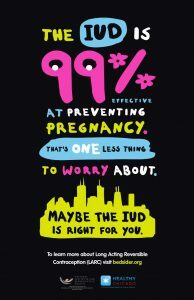 Developed with the insights gained from focus groups with teens and young women (ages 16-24 years), along with the input of youth from its TORCH program, the resulting Maybe the IUD campaign speaks directly to the needs and concerns of young people—especially those in lower-income communities and communities of color—seeking to plan their reproductive futures more effectively. 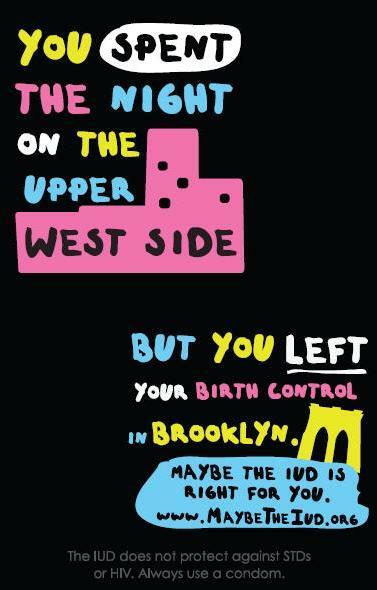 Through social media engagement and materials using compelling graphics (see examples below), we helped raise awareness about IUDs and informed New York City women about where to access long-acting reversible contraception. Recog nizing its effectiveness, in 2015, the New York City Department of Health adapted the Maybe the IUD campaign as a citywide campaign – the first phase of a multi-year initiative to increase awareness, access and utilization of sexual and reproductive health and related services across the life-course. 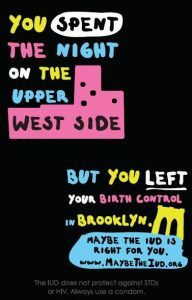 The city’s campaign included ads in subways and bus shelters across the city from September through December. 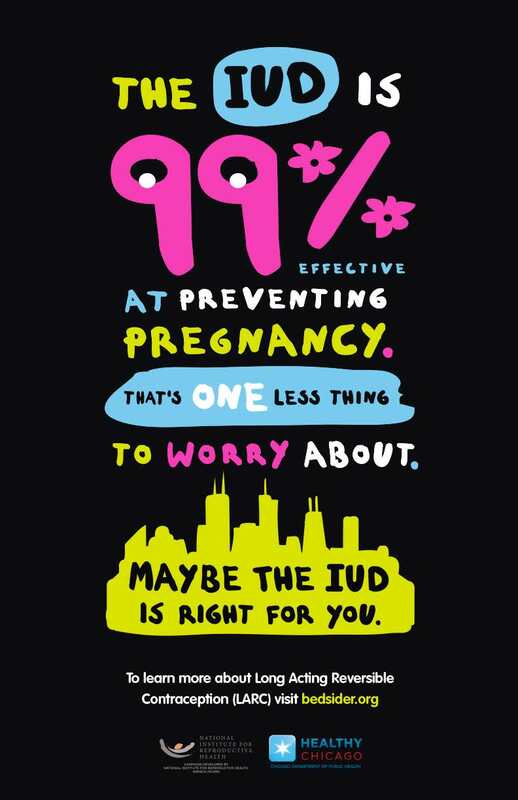 In July of 2016, the National Institute worked in partnership with the Chicago Department of Health to launch a Chicago version of the Maybe the IUD campaign. 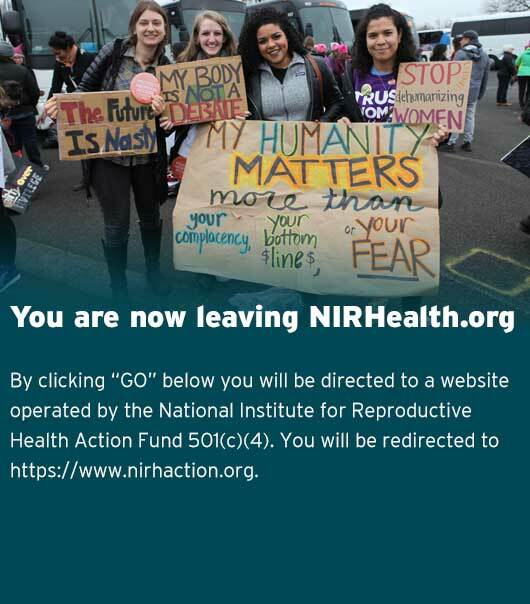 The campaign features Chicago-specific designs, and will be broadcast on digital billboards and on public transportation throughout the city.